Yesterday was Evan’s birthday. I’m always excited about this special day because it means that over the next 3-1/2 months we’ll be the same age. What does Evan have to say about this? “I’ll never be as old as you are, dear.” Always the joker… And now he’s gotten the rest of my family in on it, too. Case in point: on the phone the other day, my grandma asked whether the fact that I’m slightly older than Evan makes me a cougar. I laughed and told her I didn’t think so, but I’m sure Evan does! Most nights Evan and I tackle dinner together, but he does have some amazing dishes that are his alone. He makes a killer meatloaf and great chicken parmesan. 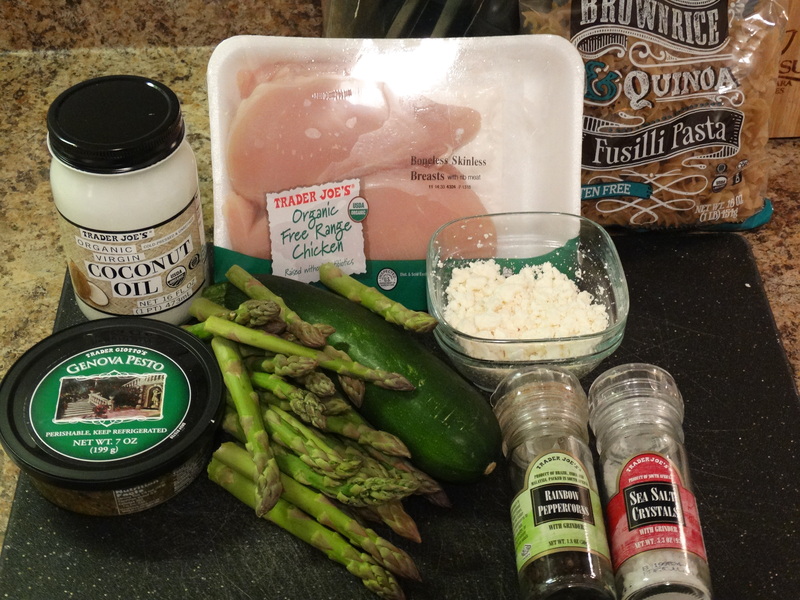 Another of my favorites is this recipe for Chicken Pesto Pasta. It’s healthy, quick, and easy…a complete meal in one dish. And I’m willing to bet that you’ll love it as much as I do. 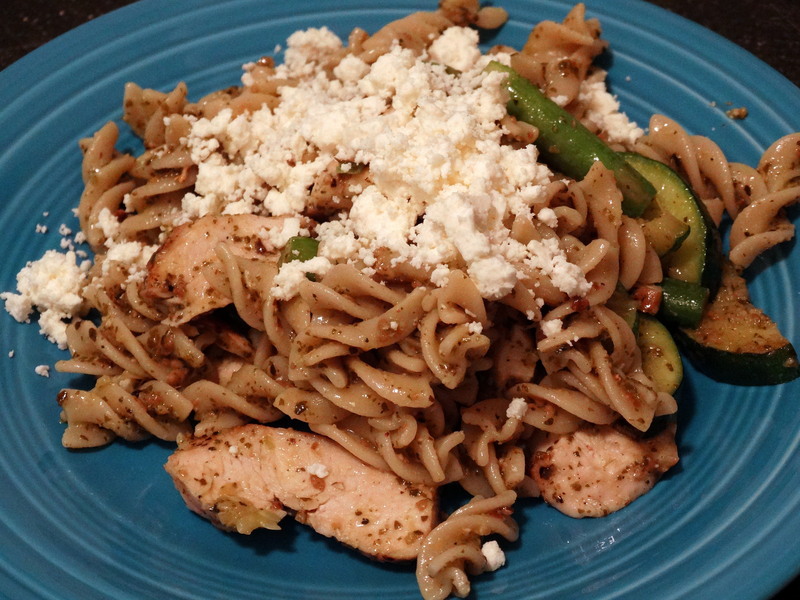 To make this recipe you will need chicken, asparagus, zucchini, pesto, feta cheese, fusilli pasta, oil, salt, and pepper. Bring a stock pot of water to boil to cook the pasta. We use 12 ounces of fusilli. You can use regular pasta, or gluten-free pasta such as Trader Joe’s Brown Rice & Quinoa Pasta. While the water is heating, prepare the vegetables. 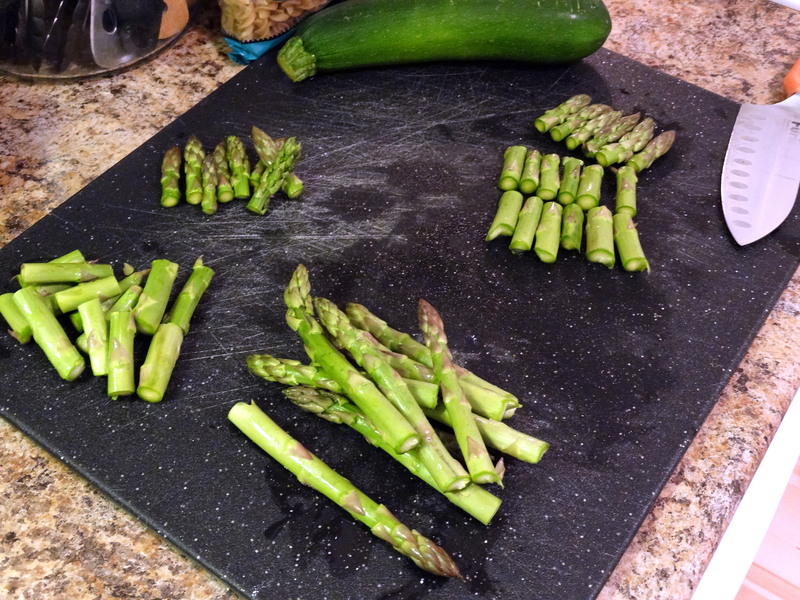 Remove the tough bottoms of a half bunch (about 3/4 cup) fresh asparagus. Then cut each spear into inch-long pieces. Remove the ends of a medium-sized zucchini, then cut it in half lengthwise. Cut each half into half-moon shaped pieces, about 1/4″ thick. 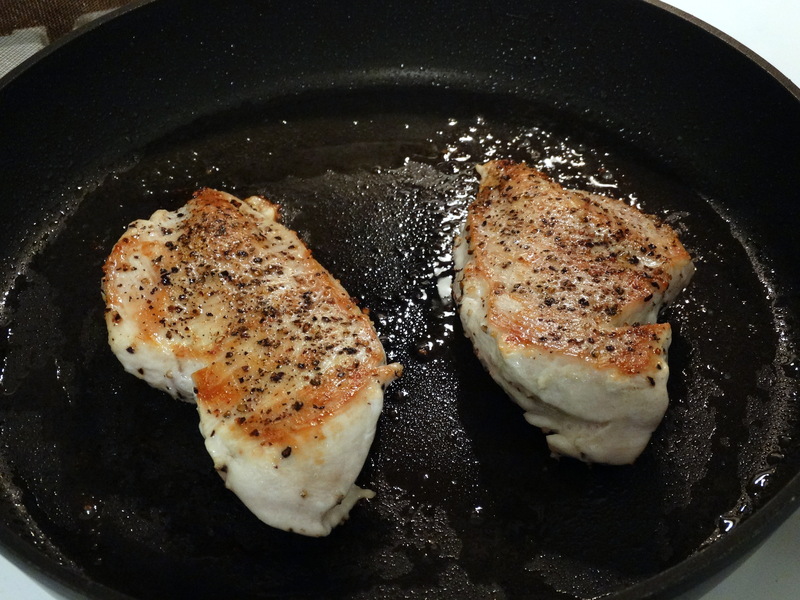 Trim two chicken breasts to remove any excess fat. Season both sides with coarse salt and fresh ground black pepper. Heat a non-stick skillet over medium-high heat with 1 tablespoon of vegetable oil. Once the pan is screaming hot, add the 2 chicken breasts and reduce heat to medium. Cook the first side until it is golden brown, then flip and cook the other side, about 8-10 minutes per side. 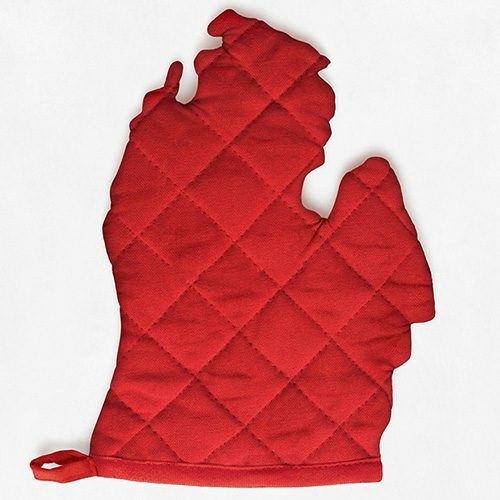 When the chicken is cooked, remove it from the pan and transfer it to a cutting board. Cover it with foil to keep it warm. Add the asparagus and zucchini to the pan and sauté them until just soft and browned, about 5 minutes. Once the pot of water is boiling, add your pasta and cook to your liking. I prefer al dente, or slightly firm. Drain and set aside. Slice the chicken into bite-sized strips. Cutting across the grain will maximize tenderness. Add 1 cup pesto to the bottom of the stock pot you used to cook the pasta. 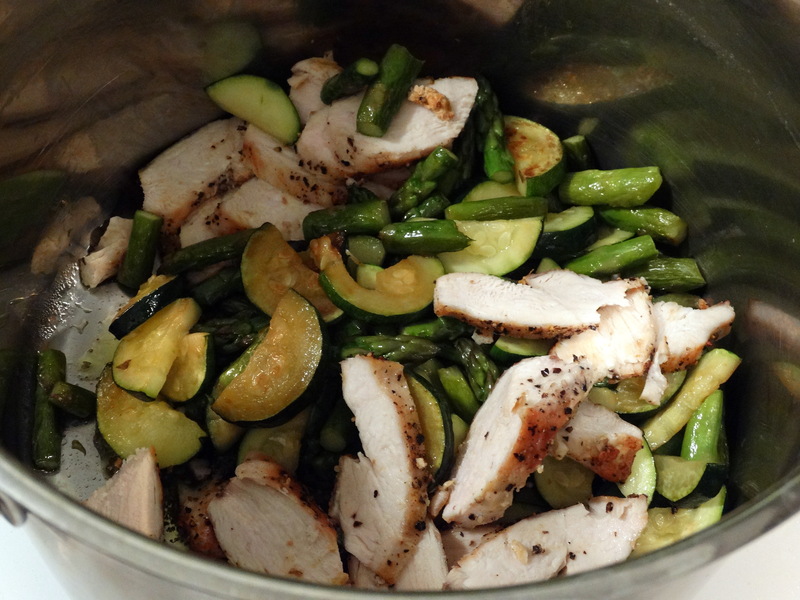 Top the pesto with the chicken slices and sautéed vegetables. Add the pasta and stir gently to coat everything with the pesto. If your ingredients have cooled, you can apply low heat for a few minutes, stirring periodically. To serve, top with crumbled feta cheese and enjoy! 1) Bring a large stock pot of water to boil. Once the pot of water is boiling, add your pasta and cook to your liking. Drain and set aside. 2) While the water is heating, prepare the vegetables. Remove the tough stems of a half bunch (about 3/4 cup) fresh asparagus. Cut each spear into inch-long pieces. 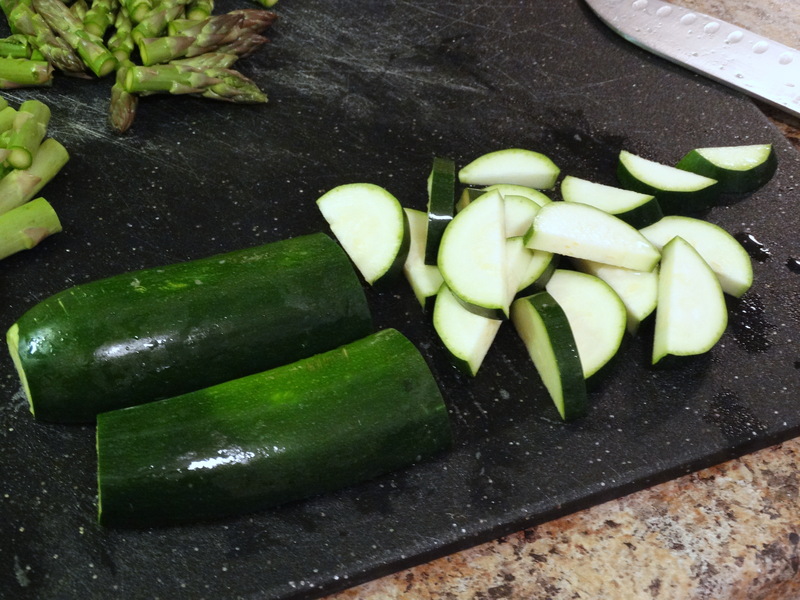 Cut the ends off a medium-sized zucchini, then cut it in half lengthwise. Cut each half into half-moon shaped pieces, about 1/4″ thick. 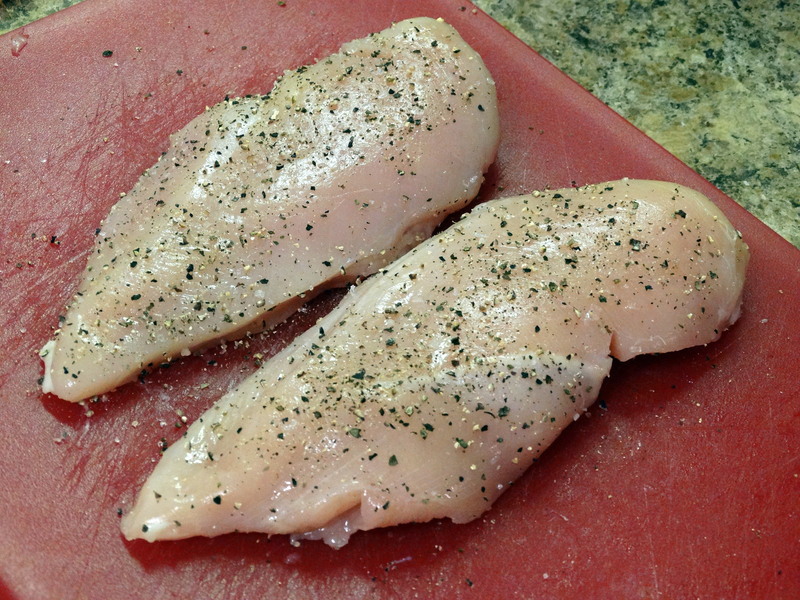 Trim two chicken breasts to remove any excess fat. Season both sides with coarse salt and fresh ground pepper. 3) Heat a non-stick skillet over medium-high heat with 1 tablespoon of oil. Once the pan is screaming hot, add the 2 chicken breasts and reduce heat to medium. Cook on the first side until it is golden brown, then flip and cook the other side, 8-10 minutes per side. Only flip the chicken once! 4) When the chicken is cooked, remove it from the pan and transfer it to a cutting board. Cover it with foil to keep it warm. 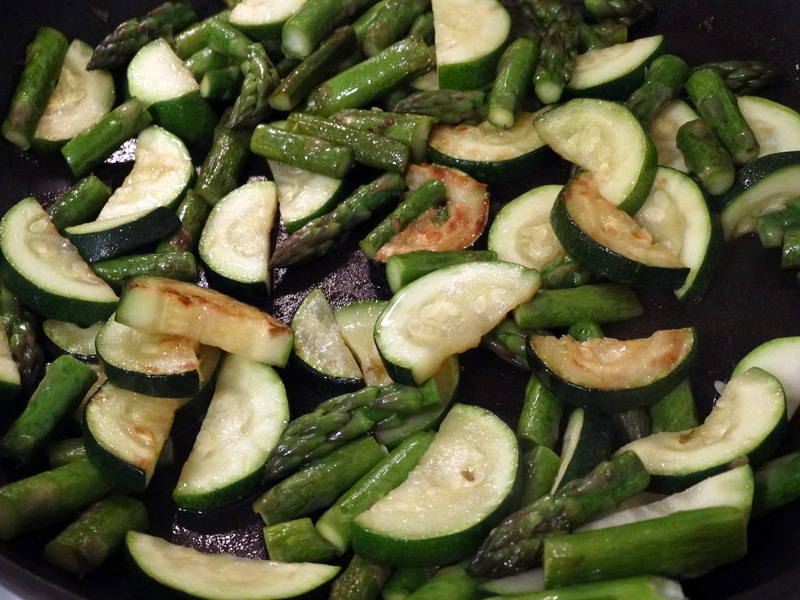 Add the asparagus and zucchini to the pan and sauté them until just soft and browned, about 5 minutes. 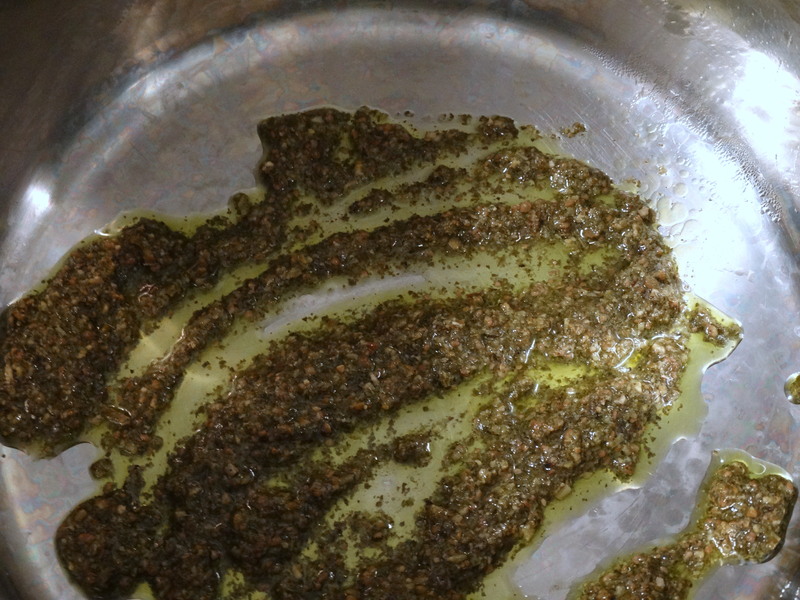 5) Add 1 cup pesto to the bottom of the stock pot you used to cook the pasta. 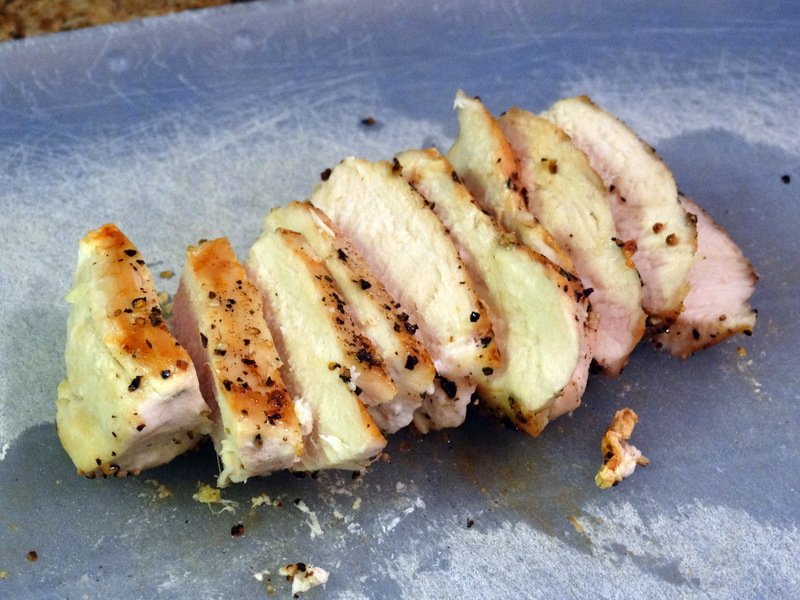 Thinly slice the chicken breasts into strips. 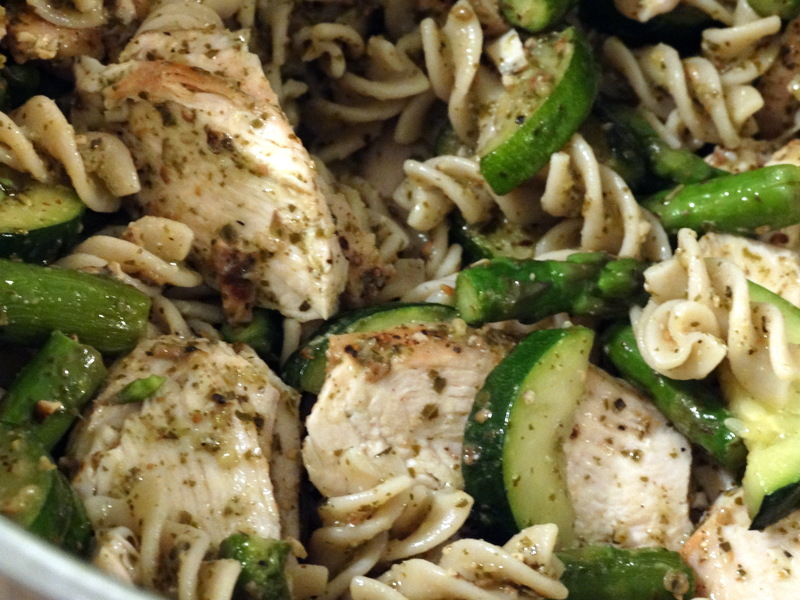 Top the pesto with the chicken slices and sautéed vegetables. Add the pasta and stir gently to coat everything with the pesto. 6) Top each serving with crumbled feta and enjoy!